Surreally stretched across a span of 185 years' time, it almost seemed like I was in a movie as I drove home from an early screening of the new motion picture, The Birth of a Nation. The satellite radio was on in my car ... tuned to the audio of a cable TV news channel. The network was covering (live) the most violent September evening of recent rioting in downtown Charlotte, North Carolina in the aftermath of police shooting to death an African-American man named Keith Scott. That old saw, “The more things change, the more they stay the same” twisted in my head as I rolled south on I-5. It's been a century since the first The Birth of a Nation hit those early 20th century movie houses. Now here in this century, we have another picture with the same name...but this movie gets it right; or you might say, is more historically accurate. D.W. Griffith's iconic, silent film epic of 1915 set many visual standards for motion pictures and influenced how screenplays are structured. Known to many as “The Inventor of Hollywood,” Griffith adapted a book for his film written by Thomas Dixon, Jr., a Southern Baptist minister and North Carolina state legislator. The preacher titled his story The Clansman: An Historical Romance of the Ku Klux Klan. 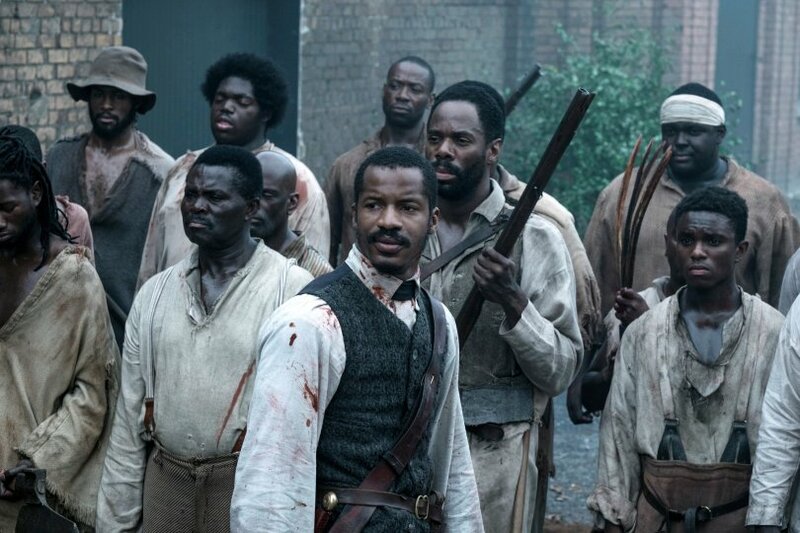 Nate Parker's just released film has the same title and is set in the antebellum South. The hero is Nat (Nate Parker), a slave who is literate and preaches the Christian Gospel to fellow slaves on a plantation owned by Samuel Turner (Armie Hammer). Nat's family has taken the last name of their owner; ergo, Nat Turner. Turner led a black rebellion on white slave owners in Southampton County Virginia that began on August 21, 1831. Turner's band killed approximately 60 whites. White militias retaliated, killing more than 200 blacks. In the aftermath, 57 blacks accused of being in league with Nat Turner were tried, convicted and hanged. That's a synopsis of Nate Parker's The Birth of a Nation, a film shot one century after Griffith's. The new motion picture is as affecting as Twelve Years A Slave, Steve McQueen's movie that won the Best Picture Oscar for 2014. Others in the cast are Aja Naomi King as Cherry, the slave who Nat rescues and to whom he professes his love. Aunjanue Ellis plays Nat's mother. Dwight Henry is seen as Isaac Turner and Roger Guenveur Smith plays Isaiah. Two lesser seen characters tend to steal scenes when on screen: Jackie. Earle Haley as a vicious white man who has his sights set on Nat; and Mark Boone, Jr., who plays a “white folks” preacher, Reverend Edwin Walthall. Boone's the one with the humongous beard and girth to go with it. He's almost a comic relief … but not quite. Nate Parker hasn't been euphemistic with horrible moments that occurred in that rebellion of 1831, so I caution … in terms of young children: you may wish to see this picture before taking the young ones to see it later. It's important history for the young, but quite stark. Powerful sequences are most prevalent near the end of The Birth of a Nation. One scene depicts a number of black people as they hang suspended by their necks from ropes tied to tree limbs. The camera moves among them while, on the soundtrack, Nina Simone sings “Strange Fruit.” The final scene is also very difficult to watch and caused me to remember another excellent movie about the unfortunate and darker side of human nature; that would be Dalton Trumbo's Johnny Got His Gun. Copyright © 2016 by Gary Chew. All rights reserved.